Who says Myrtle Beach real estate has to be expensive? 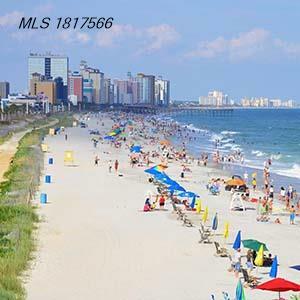 Some of the most affordable Myrtle Beach condos on the market today can be found on 1605 South Ocean Boulevard in a condo development known as The Palace. The Palace features efficiency, 1- and 2-bedroom condo units with private balconies offering oceanfront and ocean views of the beautiful beach on the south end of Myrtle Beach. The 1- and 2-bedroom units feature granite counter tops in the fully equipped kitchen. Plus, these units are completely furnished with well-appointed and tastefully decorated creature comforts. The Palace is centrally located with easy access to a variety of Myrtle Beach area attractions and amusements and is just minutes from the Myrtle Beach International Airport. Owners and visitors alike love The Palace for because of its proximity to shopping, doing, entertainment and more! Welcome to the official CENTURY 21 Strand Group website for The Palace condominium sales.